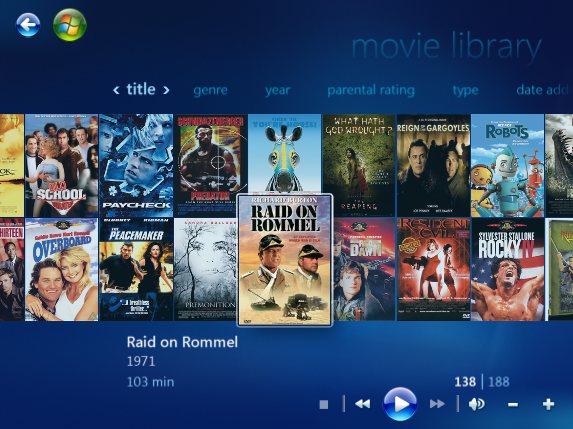 Windows Media Center 7 has some nice features when it comes to viewing movie information, but it is somewhat limited. If you are interested in taking it to the next level so you can see even more information, grab a copy of Media Browser. 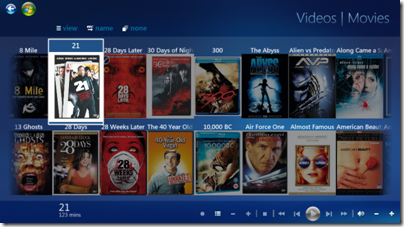 Media Browser can be customised to show your movie collection in various ways. 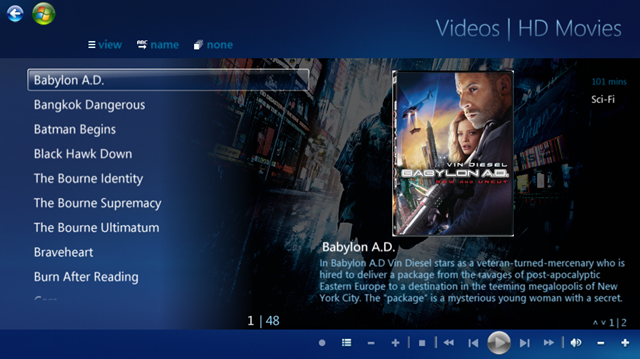 Whichever way you prefer it, it fits in really well with the default Windows Media Center theme. 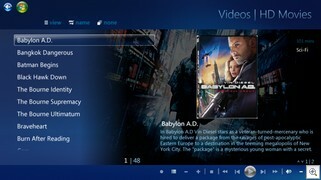 It goes beyond what the built in Windows Media Center Movie Library shows, by adding in cast information, and a bunch of pretty background pictures taken from the movie. I use Media Center Master to retrieve the information for the movies, but there are likely a few programs that can do this. 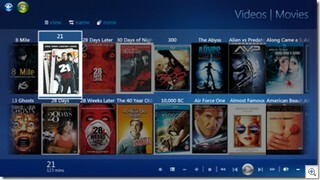 With all this information on hand, Media Browser shows as much information, if not more than can be found on a DVD cover. I love the cast and crew section. If I find a movie with an actor I like, I can read a biography of the actor and see what other films I have with them in. 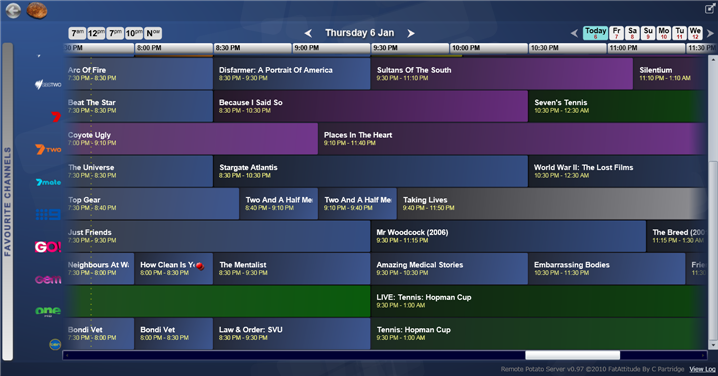 I don’t use this all the time, but when I am struggling to figure out what to watch, having enticing pictures is helpful. I have set this up on my system as an alternative to the built in library. 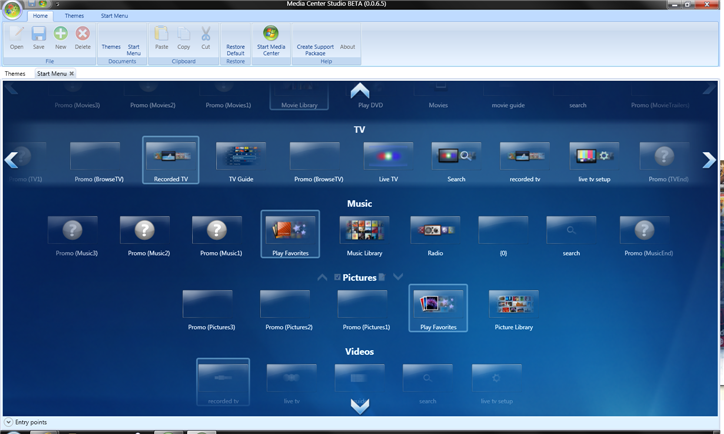 It is easy to put Media Browser next to your Movie Library icon with Media Center Studio. Media Browser is great if you have a large collection of movies because it loads them up much quicker than the built in Movie Library. It even has built in support for TV series and your music if that is something you are after. Media browser is available for free from the Media Browser forums. Hack7mc also has a great rundown of all the features. When a movie has been recorded off the TV using Windows Media Center, all we are given is a single file containing the recording. If we view the file in the movie library, it shows as a blank cover containing the title and nothing more. 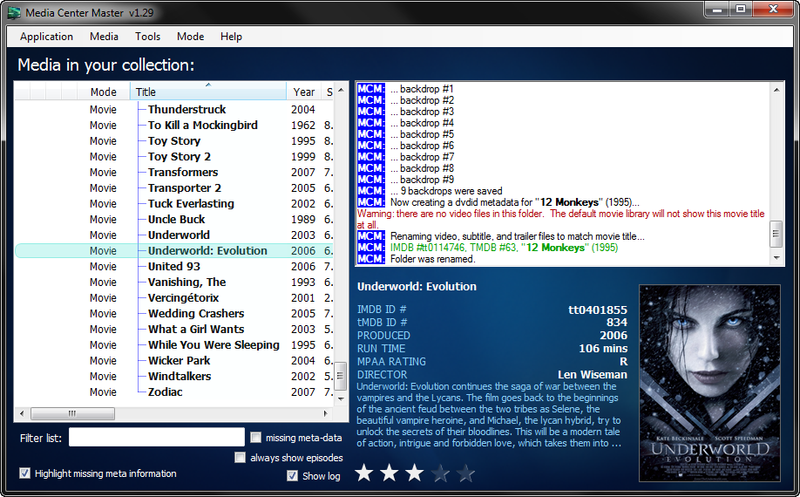 Media Center Master is a free program that scans your Movies or Recorded TV directories and downloads a bunch of useful meta data about the show, such as a description of the show/movie, cast list, director, cast biographies and pictures, background artwork for use with Media Browser, as well as the cover artwork. 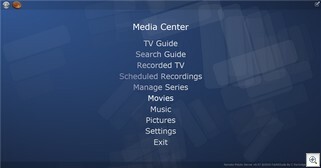 Media Center Master connects to various internet databases to find the information. If it is unable to find it on the default database, it will progress to the next. I have found it to be highly accurate in identifying movies. Media Center Master can be run as needed, but I load it at startup so that it automatically detects new recordings as they are made. The result is that I don’t need to click on anything to make the magic happen. There are a few tricks to get this software working correctly. You will need to put each movie into it’s own folder, with the same name as the movie, but this can be automated with some scripting. The software does have some of this built in, but because recordings have different names in different countries, my own scripting was required. There is more information on this here. 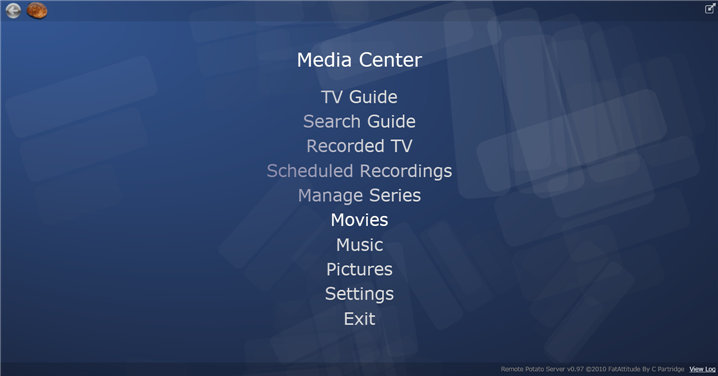 Once Media Center Master is up and running, it is completely hassle free. What you record one day, will have all it’s data attached shortly after, without needing to lift a finger. 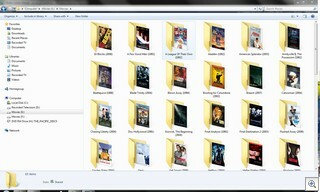 This makes browsing the Movie library much simpler and more aesthetically pleasing. Even more so if you choose to use Media Browser as it will make use of all the data downloaded. Media Center Master v1.29 is available for free from mediacentermaster.com. There is also a premium version that is capable of much more, but I only listed the features I need and all these are in the free version.